This is an introductory course for those who want to find out whether a career in the automotive industry will really suit them. It is ideally suited for students who aspire to apprenticeships in the motor industry and related fields. Its aim is to provide students with a thorough grounding in motor vehicle maintenance practices. This course will enable students to locate, identify and carry out a routine maintenance on a variety of mechanical and electrical components, as well as develop life skills including effective communication techniques, teamwork and independent learning. Students also gain qualifications in safety and health and start your own business. 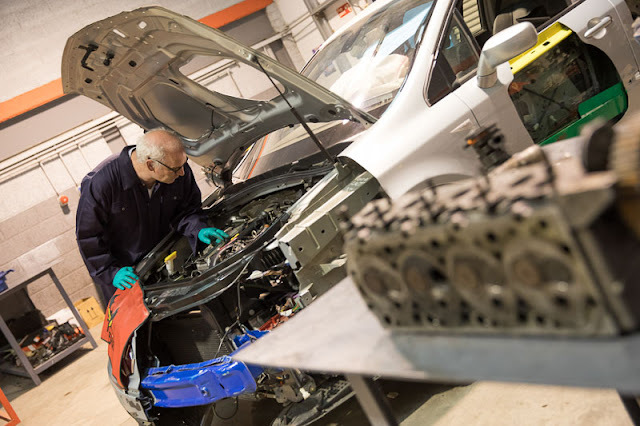 This course provides students with a general qualification in motor technology and will provide opportunities to work in various aspects of the auto trade. At Cavan Institute: Graduates of this course may progress to the level 6 course in Renewable and Engineering Technology and Engineering Technology, both available at Cavan Institute. Elsewhere: Graduates are also eligible to apply through the CAO and/or the Higher Education Links Scheme for entry to year one of a range of higher certificate and degree programmes (e.g., automation engineering, automotive management and technology, engineering system maintenance or engineering) at Institutes of Technology and Universities (please check with the particular institution regarding local eligibility requirements).